Home » Letters from our Vicar » Letters for March 2019. This year my family have given me a calendar full of the works of 19th century Japanese artist Katsushika Hokusai to admire as the year proceeds. Possibly the most famous work by this artist, known as the Great Wave is the one showing as I write these words. A print that shows boats being tossed and buffeted by huge waves; and one wave in particular that looks like it may well spell trouble for the people who find themselves in those boats at sea. Coincidentally, (or maybe not), the story of Jesus calming the storm has come up recently in the readings that we have on a Sunday in church. Of course, this story led to the children’s song, “with Jesus in the boat you can smile at the storm”. And in this picture the only thing that seems to make these stormy waters navigable is also the presence of other people in the boats; the presence of other sailors toiling and striving to help each other to make it through the very choppy time that they are facing in their lives. Again, for me this is not a coincidence. It is often when others are there to help that we can and do feel that we can smile at the storm. It is through others that I know I have felt that Jesus has stepped into my boat and offered me help at difficult times. And it seems to me, that it is when we are there at times that others are facing rough seas in their lives, that we are bringing Jesus into their lives as well, to help bring smiles, or at least some relief, at times of woe. Sometimes it seems that life is as turbulent and as uncomfortable as it clearly is for the men in the flimsy boats that Hokusai depicts. But with Jesus in the boat you can smile at the storm. It won’t take the storm away for you or for others, but perhaps it may be that when we see others struggling in their lives, that may be the time for you to make sure Jesus gets in their boat, by getting in and paddling alongside them. Remembrance service 11th November 2018. Jean Bells Annual Coffee Morning in Aid of Church Funds. Talking To Jesus : Northern Bishops Mission. Retirement of Our Church Organist October 2016. 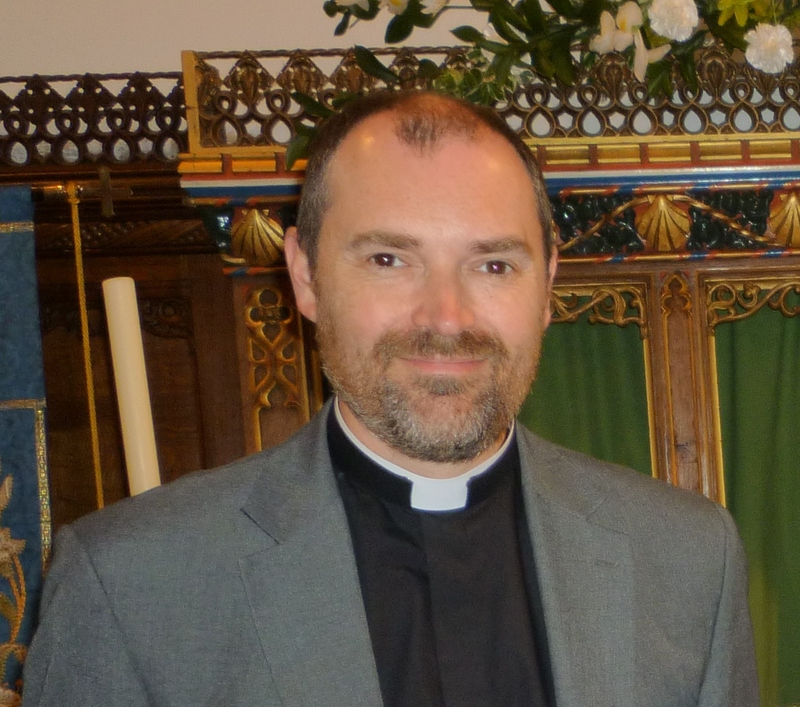 A Letter from our Vicar for April 2019. Messy Church - Messy Last Supper. Messy Church - No Messy Worries. Messy Church - Messy Me.